Guess what: You don’t have to exploit animals or risk melanoma to get vitamin D – and never had to, if only you knew. German scientists have blessed us with the news that cocoa beans contain vitamin D, ScienceDirect Food Chemistry reported this week. The highest concentrations were in cocoa butter, cocoa powder and dark chocolate. There is hardly any in white chocolate, because it has hardly any bean matter, says the team. Deficiency in D can make our bones brittle because the vitamin molecule is involved in calcium metabolism. Insufficient vitamin D also makes us susceptible to a host of respiratory and other diseases. True, we don’t know what the required daily amount is. You might think we’d know by now, but there are plenty of imponderables in medicine and this is one of them. The medical establishment feels more comfortable talking in terms of desirable ranges for D in our blood serum. Worse, getting sufficient vitamin D, whatever that means, is quite the dilemma. Our chief source of natural vitamin D is sunbathing – which we’re told not to do lest we get melanoma. To make vitamin D, you need to expose bare skin to ultraviolet B rays, i.e., sunlight, and the closer to midday the better. The brighter the sunlight and the more skin you bare, the more vitamin you produce. It bears adding that melanin, the coloring element in our dermal cells, protects us against UVB damage and, while about that, blocks vitamin D production. Those with dark skin, therefore, need more sunlight exposure to make the same amount of vitamin D as light-skinned people. So, sunlight is well and good, if one can get any at midday in warm climes. The other natural source is food from animal sources such as fish, eggs and dairy, which is anathema to a lot of people. That is why it’s a good thing to discover a new potential supply in a non-animal source, especially a lovely one like chocolate. There’s just one rub. 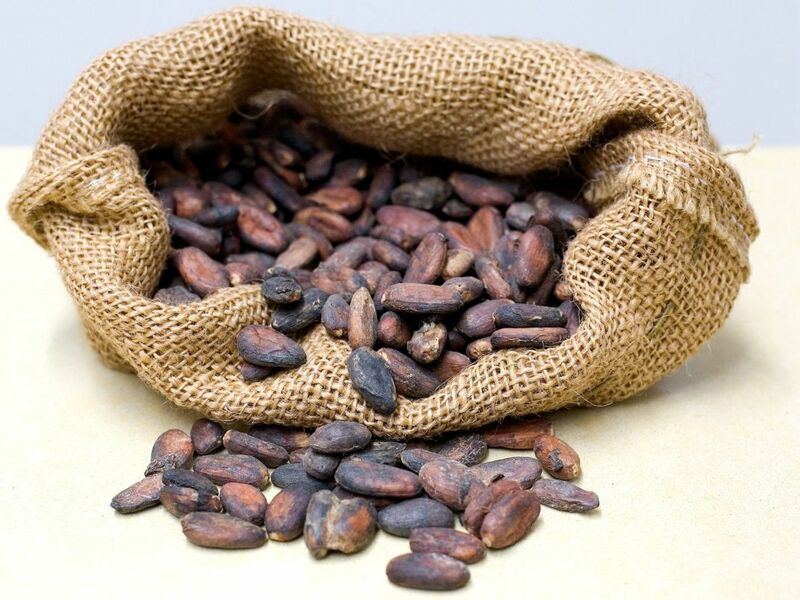 Why did they think to check cocoa beans, of all things? Actually, the scientists suspected they’d find it there – not because they thought the plant could produce vitamin D or even its precursor. No. It’s because cocoa beans are dried in the sun for a good two weeks and fungi do love a sunny day inside a bean. Yeast and many other one-celled Animalia famously produce ergosterol in their cellular membranes. It is their version of cholesterol. Exposure to ultraviolet light converts ergosterol into vitamin D that is bio-available for humans. “We thought it possible that, during that drying time, the cocoa beans would become contaminated with yeast or other fungi,” says Stangl. It is that fungal infection that is responsible for producing the vitamin D precursor ergosterol, which is then converted into vitamin D. Thank you, fungal infection. “It is an accident that cocoa beans contain vitamin D2 thanks to yeast contamination,” Stangl sums up. The rub is that to get your vitamin D requirements from chocolate, you’d have to eat half a kilo a day, Stangl says. “That would be extremely unhealthy because of the high sugar and fat content,” she points out. It would be lovely for vegans if somebody would start making vitamin B supplement capsules from cocoa beans. But that isn’t about to happen, and not just because the cocoa tree is in climate change-related trouble. Indeed, that has spurred attempts to engineer the plant to be more resistant – but the vagaries of climate change and cocoa sensitivity is not the problem. The problem is that not all vitamin D is alike. Vitamin D comes in two types: D2 and D3. The type we produce in our skin with the help of sunlight is D3. Fungi produce D2, and this is the type of vitamin found in cocoa beans. So, even if the cocoa plant is manipulated into surviving the climate storm, and even if somebody makes vitamin D supplements from the bean, they could be ineffectual. But it’s useful to know about cocoa, the fungus and the vitamin, because it could affect food policy. This is, after all, chocolate, not brussels sprouts. News about vegetables that most people wouldn’t touch with a barge pole anyway isn’t going to change public policy. But most people love chocolate. They eat it by the ton. Literally. Global consumption of retail chocolate averages over 7 million tons a year, according to Statista. The biggest chocolate consumers are the Swiss, who can gulp down 8.8 kilos of the stuff a year. So people are taking in vitamin D with their candy and science hadn’t suspected a thing or factored it into the nutritional data information, let alone into dietary recommendations. Now she and the MLU team are investigating whether it is possible to produce sugar-free foods such as cocoa pasta. Stangl makes a good point that chocolate is not only delightful but also fattening, and a habit can lead not only to obesity but diabetes. Let’s not even get into cavities. But plenty of research has found advantages in the habit. In 2017, a team reported in Science Daily’s journal Heart that regular chocolate consumption may be linked to a lessened risk of developing the heart rhythm irregularity atrial fibrillation (also known as heart flutter). 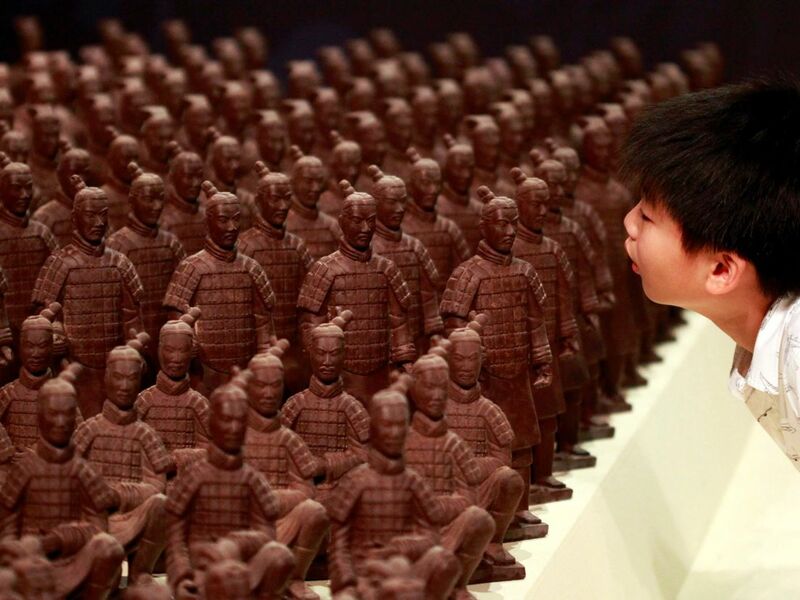 Really, the only news better than “Chocolate is good for you” is “Eating chocolate regularly is good for you.” Best yet, the beneficial effect wasn’t confined to dark chocolate, beloved by aficionados and surreptitiously disliked by most everyone else. The participants of the study weren’t asked what chocolate they eat. 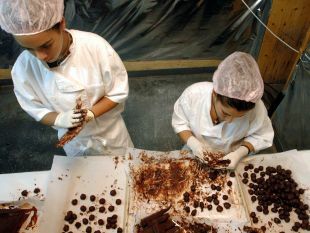 Since the work was done in Denmark and most people there eat milk chocolate, the working assumption is that’s what they ate, the scientists told Haaretz.